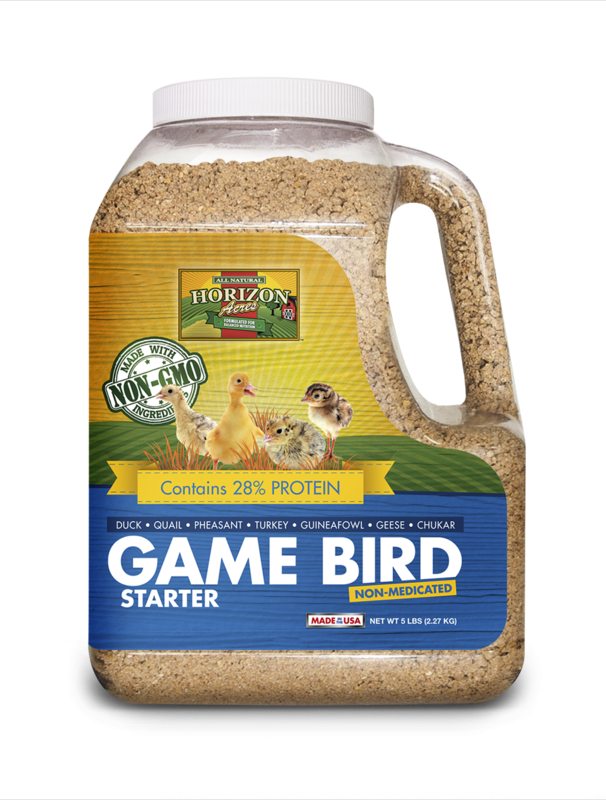 Horizon Acres is proud to introduce our new Non-GMO Game Bird Starter. It is a non-medicated feed, hormone free and does not contain genetically modified ingredients. It is designed to be fed to guineas, quail, pheasant, turkeys, ducks and geese. It is a balanced, all-natural formula that contains 28% protein for optimal growth. Nutritious and delicious, it gives your birds a good start, naturally! 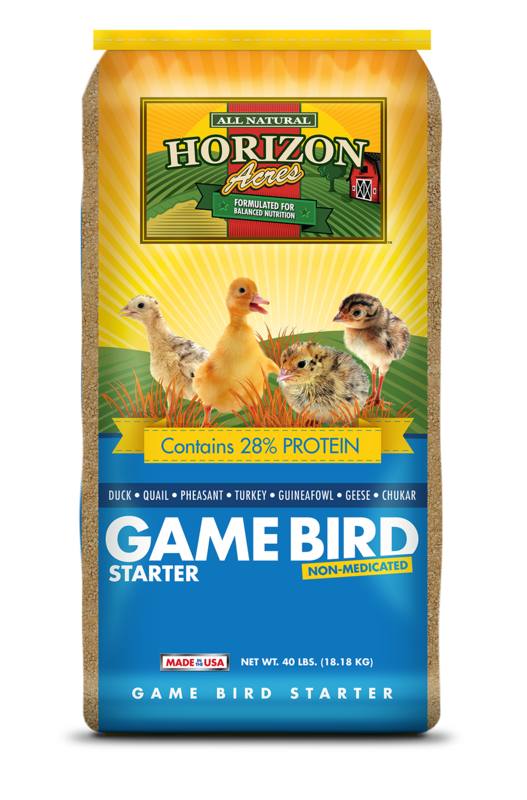 Horizon Acres Game Bird Starter is a non-medicated feed designed to be fed to guineas, quail, pheasant, turkeys, ducks and geese. It can also be fed to chicks as a non-medicated starter for the first 6 weeks of life. For optimum production feed Game Bird Starter free choice to your young birds. It is a balanced, all-natural formula that contains 28% protein, higher than most competing brands, to support the needs of a variety of game birds. Because it is a complete feed, there is no need to supplement. It is fortified with vitamins and minerals and contains natural probiotics to support the immune system. It is made from nutritious and delicious ingredients grown by Midwest farmers and gives your birds a good start!